Still talking about The Shadow Lamp by Stephen R. Lawhead (Facebook). Several of the tour members have expressed concerns about the theology in The Shadow Lamp, namely one character's lengthy explanation about God and our place in the universe. I do share those concerns. But even with those issues, I felt like God's presence and Christianity were SHOWN better in the book than they were TOLD by a Gianni in a long speech near the end of the book. All the points can be seen through the lens of Etzel and Mina (two of my favorite characters). Thomas Clayton Booher had an excellent write-up of some of Etzel's more memorable moments if you need caught up. Point 1: One concern is that Gianni's speech in The Shadow Lamp could be interpreted as supporting a more deist philosophy, where God does not get involved in shaping the future, as that would interfere in free will. But I'd argue that throughout the book, the opposite is shown. What in the world are the odds that Mina would happen to land in Prague and be picked up by one of the nicer men in all of fiction, a man who speaks German, a language she just happens to have some memory of due to her grandmother. Personally, I think that's the sort of writing that only makes sense if you're coming from a world view that some higher power put things together to work out for the best. If there's no higher power or some sort of plan to the world itself, then it's just author laziness. Spoilers ahead; I suggest you stop reading now if you haven't read The Shadow Lamp. So speaking of dear Etzel! In the epilogue, Etzel is literally, and to my eyes gladly, loving his enemies. It was touching and I thought in-character, given what a kind man he is. Regardless of the debate about theology and God's involvement in our lives, I'd argue that the way Etzel acts throughout these books thus far is for the most part keeping in the way a follower of Christ should live. Gianni? He may say some interesting things, he may be considered a genius by the other characters, but I don't see that he's particularly a character to be admired above any others, at least not on a spiritual level. In other words, there's a great Christian testimony in the series, and the character shines by his actions and making gentle mentions of God. Quite a contrast to the speech given by a character (and an essay by the author!) proclaiming their viewpoints on how science and religion intersect. And speaking of Christian testimony, during Etzel's kind acts during the epilogue, am I the only one thought of the sad fate of the dwarfs in C.S. Lewis' "The Last Battle?" "Aslan," said Lucy through her tears, "could you--will you--do something for these poor Dwarfs?" "Dearest," said Aslan, "I will show you both what I can, and what I cannot, do." He came close tot he Dwarfs and gave a long growl: low, but it set all the air shaking. But the Dwarfs said to one another, "Hear that? That's the gang at the other end of the Stable. Trying to frighten us. They do it with a machine of some kind. Don't take any notice. They won't take us in again!" Aslan raised his head and shook his mane. Instantly a glorious feast appeared on the Dwarfs' knees: pies and tongues and pigeons and trifles and ices, and each Dwarf had a goblet of good wine in his right hand. But it wasn't much use. They began eating and drinking greedily enough, but it was clear they couldn't taste it properly. They thought they were eating and drinking only the sort of things you might find in a Stable..."
I hope Lord Burleigh will not track me down through the Multiverse and hurt me for revenge, but he's so suspicious of Etzel's motives, don't you think he comes off quite a bit like a Dwarf? As C.S. Lewis (and Lord Burleigh) illustrated, you can't force someone to accept Christ's gift. It remains to be seen of Burleigh might someday change for the better, or if Etzel's just putting hot coals on his enemy's head. I guess either option is good, come to think of it. So no, I certainly wouldn't point to The Shadow Lamp as a beacon of theology--at this point there are doubts about God's sovereignty and an old-time Egyptian priest (the servant of one of their gods) who's very much looking forward to going to heaven (!). It remains to be seen how everything comes together in the end and what it all means--what we see now is actually characters' opinions and theories, though those opinions are often portrayed as truth. Julie again for the CSFF Blog Tour! Yes, I made it through The Shadow Lamp in time to get a review out! The remaining 100 pages or so moved much better for me, except...well, we'll get into that. Ridiculously simplified summary: Fourth in a series. A group of adventurers seeks to use magical ley lines--portals between times, places, and dimensions--to prevent the world's destruction. Content: To shamelessly steal from Rebecca LuElla Miller, "Of the four Bright Empires books I’ve read, this is the only one that has what I consider didactic sections. Interestingly the “preachiness” has less to do with God than it does science." That said there is some reference to Christianity at last here...including some ideas about God and Jesus that, unless I am misunderstanding, seem to me to be rather controversial for a Christian book. Thomas Fletcher Booher both articulated my concerns better than I could have, and took the issues seriously enough that it reassures me that my concerns are valid. Compelling: 6 out of 10. This book didn't grab my interest like the earlier ones did, but as I mentioned yesterday, that could be because of it being less of a mystery. 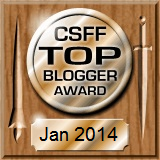 That said, still I felt like there was a lack of action overall for the first big chunk of the book. Things picked up for me about midway through, and there were some really good dramatic scenes closer to the end, though I thought parts of the end also felt almost rushed, after the slower pace of the beginning. Or maybe it's the fact that it's only in the last 100 pages or so of the 4th book in a 5-book series that the main problem is actually revealed. Book 5 should be pretty darned interesting, dealing with all that. Characters: 8 out of 10. 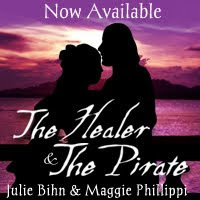 For the most part, the characters were the same as they'd been in the previous books, with plenty of spunky women and sweet, chivalrous men, which is a combination I find hard to turn down. I almost feel like there's a little coasting on the goodwill established in previous books, but that's probably because there are a lot of events that have to transpire in this book and the characters are established, not any actual flaws. Writing/editing: 6 out of 10. There were some excellent and elegant descriptions, and some nice lines, such as "with the calm acceptance of the condemned who at last understand that time is short and life fleeting and that nothing matters except that which is eternal." The dialogue tags again drove me completely batty during long strings of dialogue. Over the span of two pages are both "'Fair enough,' allowed Kit" and "'Partly,' allowed Kit." I realize that's Lawhead's style in this series--he's been nothing if not consistent in using them through all these books! But during parts when the action isn't rolling along, I get completely derailed by these kinds of tags. Plausibility/believability: 3 out of 5. I felt like the science became less plausible here--I have trouble with the scientific insistence that (minor spoiler) if the universe isn't expanding as quickly as it always did, that it definitely must be doomed to contract into nothingness. Positive: 3 out of 5. This one is darker than books 2 and 3, I thought. I found the implications about Christianity rather disturbing, particularly the possible implication about Jesus' relation to the Spirit Well (which isn't certainly wrong) and even worse, the idea that anything humans could do could undo all of God's creation. Of course, these are all speculation by scientists that could very well prove to be wrong. The epilogue was an incredible way to show Christian love. Gut reaction: 4 out of 5. I'd call the ending a twist ending. (Though to me, the descriptions at the end read almost like literary fiction, describing a scene in incredible detail with a deeper meaning--they reminded me of my English classes in college, which I didn't enjoy.) The epilogue helped salvage any lingering ill will overall. At any rate, I'm looking forward to reading the end of the series for sure. I'm just hoping that book starts quicker than this one. Recommended for: Fans of Christian science fantasy that doesn't mind point of view shifts. 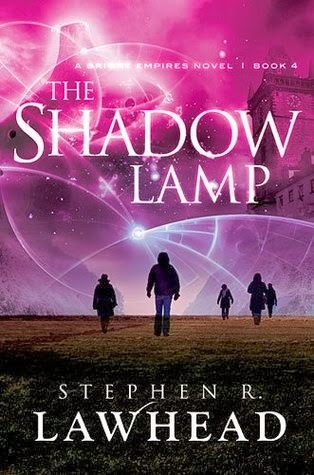 This week we're talking about The Shadow Lamp by Stephen R. Lawhead (Facebook). Time got away from me here (oh dear; that might be a pun!) so I haven't finished reading yet. God willing, review should be Tuesday (or worst case, Wednesday). I'll say right now I found this book more difficult to get into than the others in the series. Likewise, a friend of mine is reading the first book in the series, The Skin Map, and is also having trouble getting into it. Her problems are with the point-of-view shifts, which I think are almost impossible to avoid in a series as complex as this one. I'm not sure what my problem is, but I suspect some of the difficulty is actually in knowing TOO MUCH. I actually read the second book of the series, The Bone House, before I read Book 3 (The Spirit Well). Only then did I go I went back and read Book 1 (The Skin Map). Though the first pages of each book have a brief explanation of what transpired before, it's generally recommended to read the books in order so you're not lost. But I suspect I found The Bone House so fascinating in part because I was being thrown into the middle of the action. Then belatedly reading The Skin Map was a treat, seeing in effect the "backstory" of these characters. Unfortunately, in The Shadow Lamp, I feel like there are relatively long stretches where characters are meeting and introducing each other and sharing their backstories (for the benefit of the other characters, but just as much for the reader). So even though I admittedly could sorely use a refresher myself, the beginning was slow for me because there was a certain amount of explanation. In other words, it's a saga about traveling through time and space, and I suspect I may have enjoyed it more because I read it out of order! The story has definitely picked up for me (I'm on page 270 now), so we'll see what happens. I hope I walk away loving it as much as I loved the first three. But anyway, from a writer's standpoint, I think it's key not to give away too much in your writing. Sometimes the most fun for a reader is to piece things together.